iPhone 4S is still very popular now although iPhone 5 has released for a period of time. Many people think iPhone 4S is classic iPhone compared to iPhone 5. Iphone 4S is a good video player for its 3.5-inch (diagonal) widescreen and 960-by-640-pixel resolution at 326 ppi. But if you want to watch MXF videos shot by some Canon/ Sony/ Panasonic camcorders, you have to transfer the format first, you need to transfer MXF to the formats that acceptable for iPhone 4S. 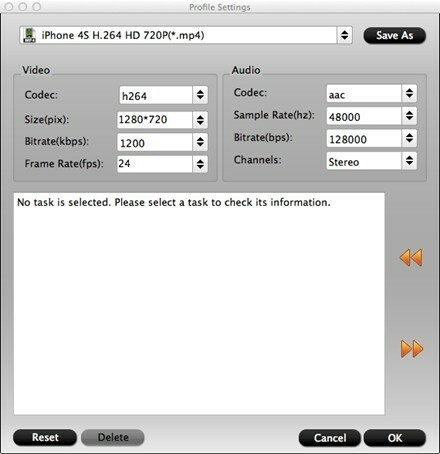 Here is a brief guide for converting MXF to iPhone 4S on Mac. 1. Download Aunsoft TransMXF for Mac, run it after installation. 2. 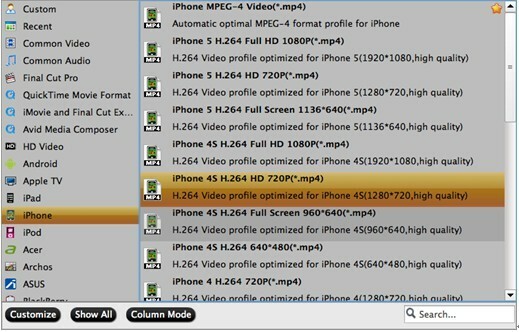 Add MXF videos into TransMXF for Mac. 3. Choose the output format and route then start conversion. Tips: If you want to combine several videos into one file, click “merge into one file”. Click “setting” for some personal preference. You can also do some basic editing with TransMXF for Mac. The time needed for converting is short, and TransMXF can convert MXF to many other formats such as AVI, MPEG, WMV, FLV, DivX, XviD, MOV, ASF, 3GP, 3G2, F4V, etc. TrnasMXF for Mac is the best MXF converter for Mac. How to convert and play AVCHD (*.mts or *.m2ts) files in WMP?